I’d like you all to meet Katie. Katie is the adorable twelve year old daughter of my friend Jessie and also a friend of my Emily. 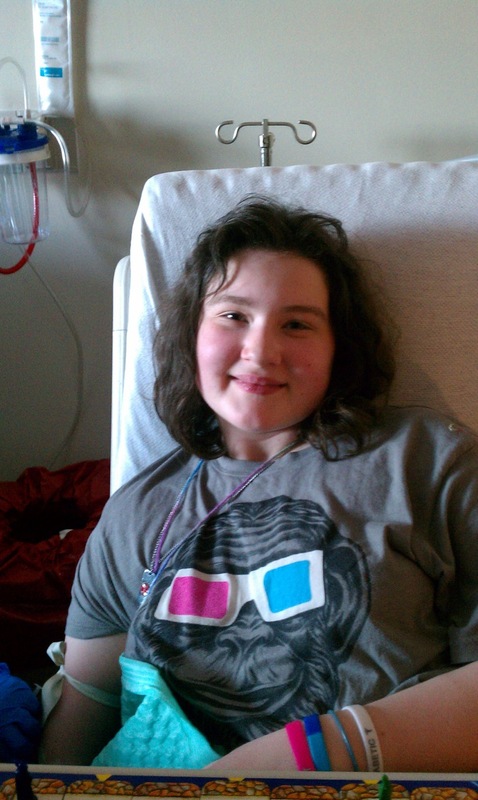 Katie was diagnosed with diabetes when she was very young, and hasn’t had as easy a road as many other kids her age. There have been some very scary moments over the years. Somehow, despite the many restrictions she faces every day she manages to be down to earth and full of grace. So recently when Jess announced that Katie was going to take part in a clinical trial to test algorithms used for an artificial pancreas I wasn’t really surprised. But I was proud. You see, this was Katie’s decision. Although she knew she was to be compensated handsomely she also knew she’d be subjected to A LOT of intrusions on her personal comfort (I’m being nice here) for the duration of her hospital stay. She wanted in anyway. And you know what? It wasn’t easy. Her first round of this trial was very well, trying and painful. When things got particularly tough Jess told her she could quit if she wanted to. Jess would even give her the money she’d be out by excusing herself from the trial. She told her twelve year – old she could leave the pain behind and still be paid. Katie stuck with it. She said she needed to let them finish the research, because it was important to her. I wanted to share this story with you not only because I am ridiculously grateful to be their friend, but also because everyone needs to remember that kids can do amazing and selfless things – I kind of think that in a lot of ways they can be far more selfless and wise – and stronger – than we adults are. I hold my children to higher standards in many ways than I do my adult friends and occasionally I catch flak for that. You know what? I think they can handle it – I think kids deserve far more credit than we give them. Thank you Amy. Katie is a very wise and selfless young woman. Thank her for me and for all the future diabetics that may benefit from her selfless acts. I’m off to hug my children.